There’s a saying going around, “Dogs have Masters, Cats have staff!” One thing for certain, cats are cool customers! While they may seem aloof at times, they are intently curious, and naturally inquisitive. To win their affection is nigh unto gaining a Royal seal of approval! 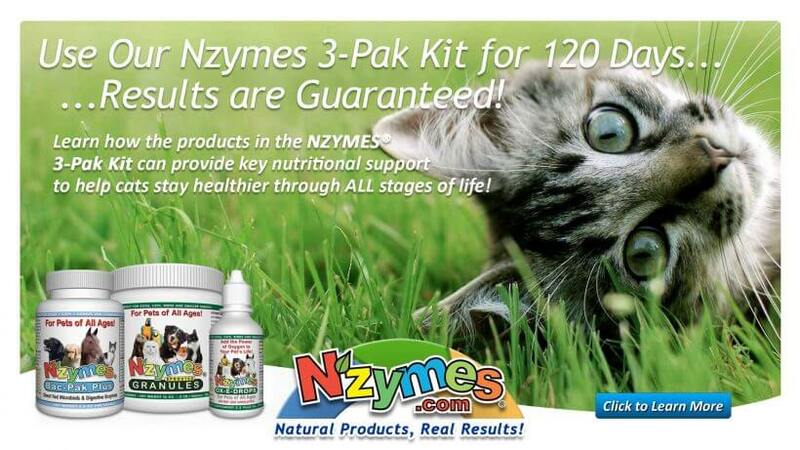 Wherever you fit into the kingdom, the health of your cat is of the utmost importance; to you AND to us! 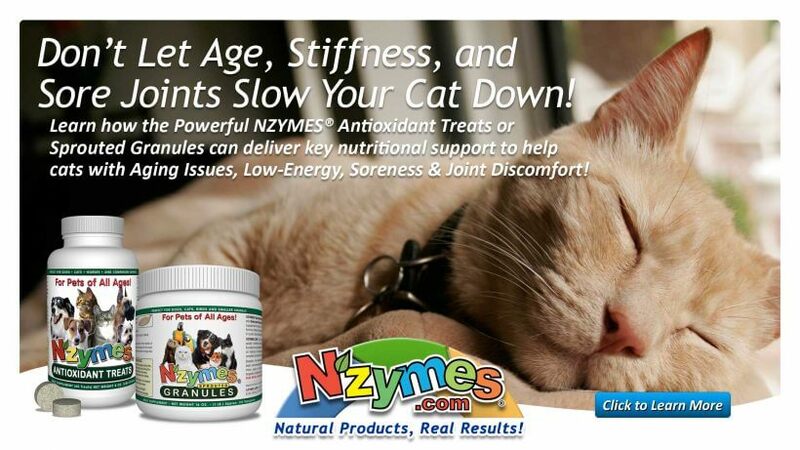 Nzymes line of natural supplements can provide key ingredients in keeping your Feline Friend as healthy as possible. 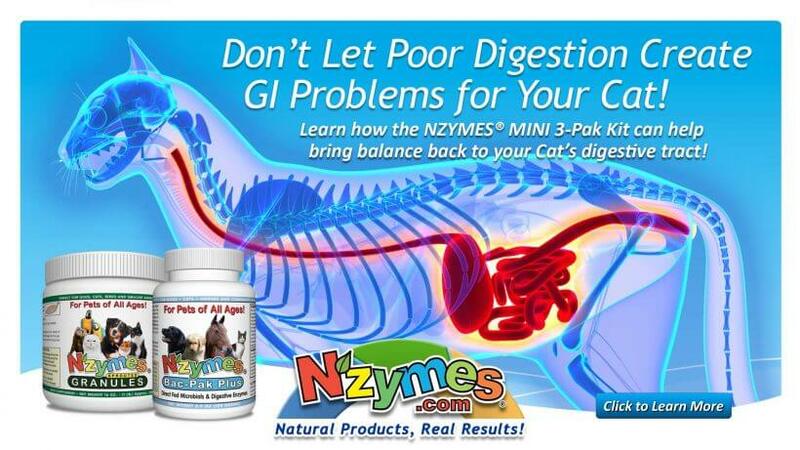 Did you realize that for just pennies a day, you can provide your cat with the essential elements to keep his immune system strong, his coat soft and shiny, enhance his digestion and keep parasites to a minimum? 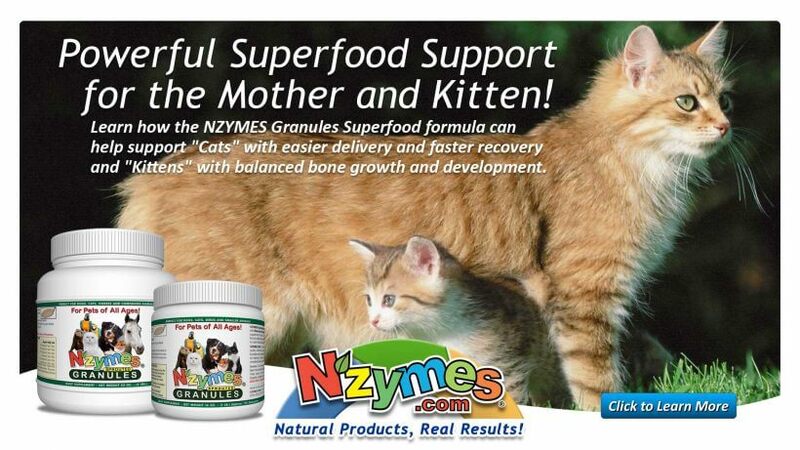 The Nzymes family of products is not a very large one, but each item we offer plays a key role in a specific area of health. We have recently launched smaller sized versions of our most popular items to make them more appropriate for cats and smaller pets in general. 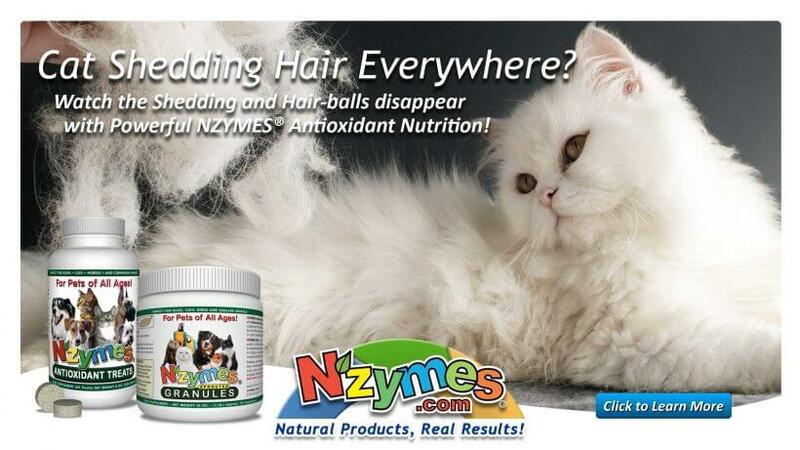 So many cats these days are plagued by immune-related illness and disease. More and more research is revealing the negative effects of over-vaccination and diets consisting only of processed foods. 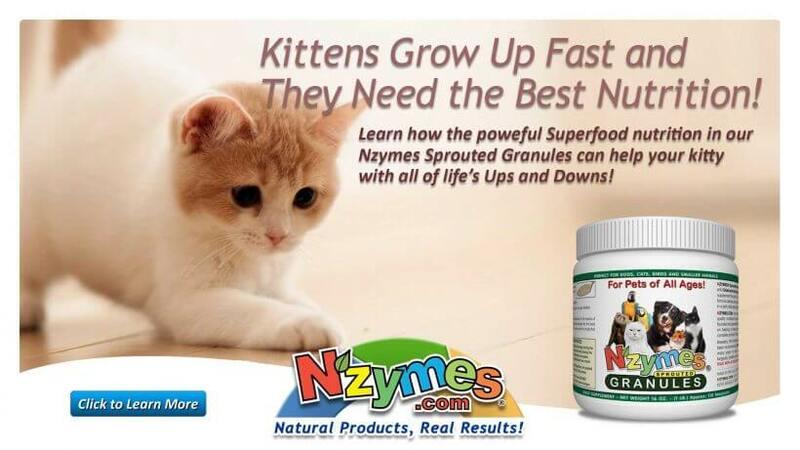 This is one reason why supplementation is so important in helping to keep their natural defenses strong. 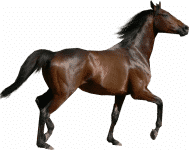 We also invite you to see our pages on recommended foods. Our cats are our constant companions. 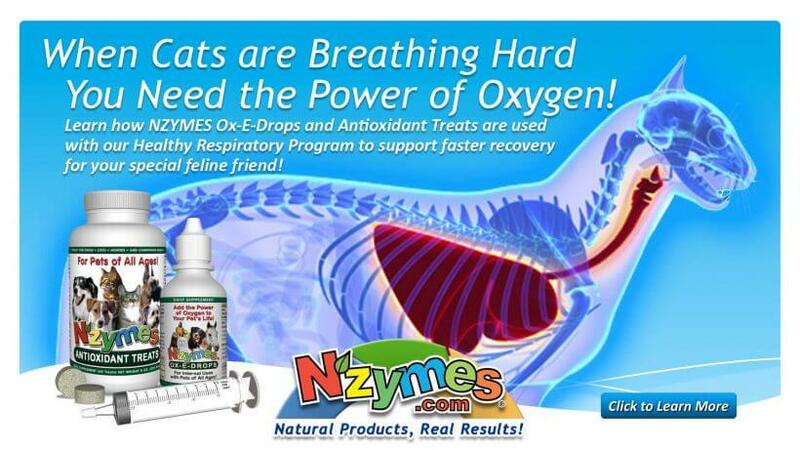 Our desire is to help your cat stay as healthy as possible. It should be noted that just like Dogs, Cats sometimes have to deal with Skin Problems too. 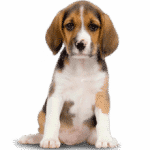 This often involves itching, inflammation, rash, ear problems, etc. The Healthy-Skin Program is our answer to turning these issues around. with their own pet. Photos and videos are welcome!